As part of the multisite project A Universal History of Infamy, LACMA presents an exhibition curated by artist and educator Vincent Ramos at the museum’s satellite gallery within Charles White Elementary School. 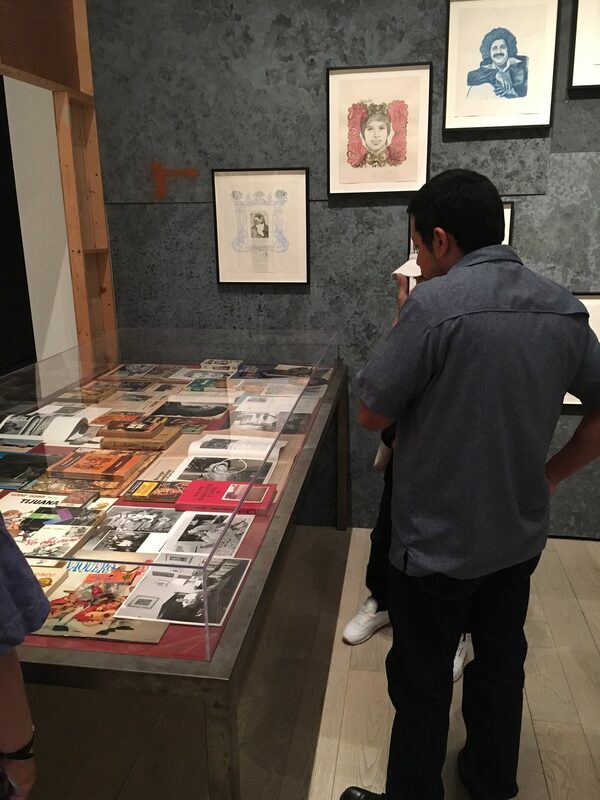 By displaying works by contemporary Latino artists, writers, and activists exploring loss, resilience, and the political potential of poetic expression alongside several pieces from LACMA’s collection, Ramos exposes a shared impulse across generations to use art as a powerful method of resistance. Artists in the exhibition include Isabel Avila, Raul Baltazar, Roberto Chavez, Victor Estrada, Carlee Fernandez, Devyn Galindo, Héctor García, Jacinta González, Raul Guerrero, Fred Lonidier, Maria de Los Angeles, Yvette Mayorga, Delilah Montoya, Jorge Orozco Gonzalez, Monique Prieto, Betsabeé Romero, Peter Saul, Fritz Scholder, Rufino Tamayo, Teresita de la Torre, Patricia Valencia, Linda Vallejo, Emmett Walsh, and Max Yavno. Contributing writers: Rocio Carlos, Sesshu Foster, Carribean Fragoza, and Stephanie Guerrero. Charles White Elementary School opened in 2004 on the former campus of Otis College of Art and Design. The school is named for artist Charles White (1918–1979), who taught at Otis for many years. LACMA has been programming exhibitions at the school since 2007. Public Hours: Open Saturdays, 1–4 pm. Enter the gallery at the corner of Park View and Wilshire Boulevard.